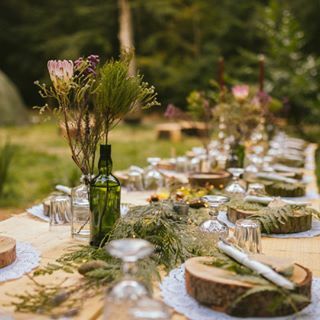 In this unique and immersive culinary experience, you'll be transported to a hidden woodland estate in a classified area of outstanding natural beauty within a short commute from London. Here, you will be greeted by our award winning chef, Eyal Jagermann, whose restaurant The Barbary was named Londons best restaurant of 2017 and 2018 by Time Out Magazine. Eyal has teamed up with our acclaimed wine educator, Sherry Stolar, to curate a four course wine tasting menu paired with seasonal organic ingredients sourced from the grounds of the estate that will be served up and smoked on an open flame. During the meal Sherry will educate guests on how to untangle the complexities of fine wine, enabling them to express their wine preferences in the future in a simple and clear way, without mincing words. Eyal Jagermann is a Tel Aviv born chef and restauranteur, who trained in Israel and moved to London in 2014 to study Culinary Management at Le Cordon Bleu. After finishing his studies he worked and trained at some of London's best restaurants. In 2016 he co-founded and was the head chef of the Barbary, a Covent Garden restaurant that celebrates the flavours, colours and culture of modern Israeli cuisine. The Barbary was awarded Londons' best restaurant of 2017 and 2018 by Time Out Magazine. Sherry leads corporate, private and small group sessions throughout the world to teach about wine in an interactive and engaging way, with a focus on creating nonjudgemental and safe environment. Sherry holds a Diploma of Wine Studies from the Wine & Spirit Education Trust, a BS from Cornell University in Communications and is an MBA candidate at London Business School.